Welcome to the Wexford Volunteer Fire Company’s home on the web! Whether you’re just visiting, looking for specific information, or considering membership, you should find a lot of information on these pages. Stay connected to the Wexford Volunteer Fire Company by visiting this website frequently and following our Facebook page. To share a little about me, I started with the Wexford Volunteer Fire Company as a wide-eyed junior firefighter in 1990 and haven’t looked back since. I have spent time in the ranks from firefighter, to lieutenant, to captain, and have been privileged to serve as chief since 2012. If you have the even the slightest interest in joining our organization, I strongly suggest you investigate further. As you’re read on our recruitment pages, you’ll see that there are plenty of opportunities to get involved that you may have never even realized we have available. You have the opportunity to join an organization that has a proud tradition of serving the community since 1921. Beyond nice buildings and shiny fire trucks, we’re made up of a very unique group of people that offer so much in the form of friendships, learning, and a special bond that develops among those who provide emergency services to the community. We’re very fortunate to be an organization that is well funded and equipped, allowing our members to focus on our core mission — providing fire and rescue services to the community. If you have an interest in serving, the membership of the Wexford Volunteer Fire Company would love to welcome you to our ranks. I sincerely hope that someday I can be of assistance as you navigate your volunteer fire service career. 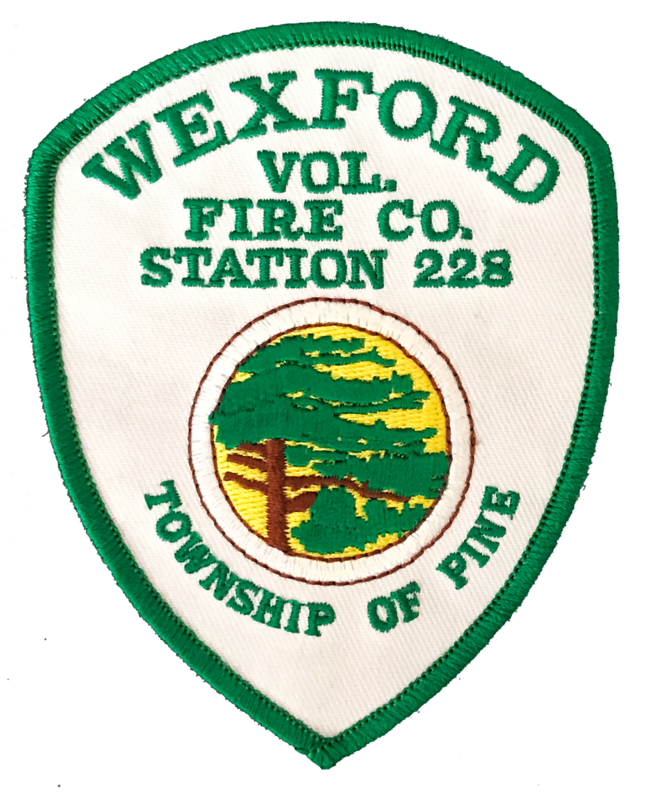 To the residents of the Township of Pine who are unable to serve with us, please never forget that the Wexford Volunteer Fire Company is made up of unpaid volunteers who dedicate much of their free time to protecting this community. Our volunteers strive to ensure that they are prepared to best serve you in your greatest time of need. You can play an important role for our organization by acting as our ambassadors through educating your family, friends, and neighbors about us.